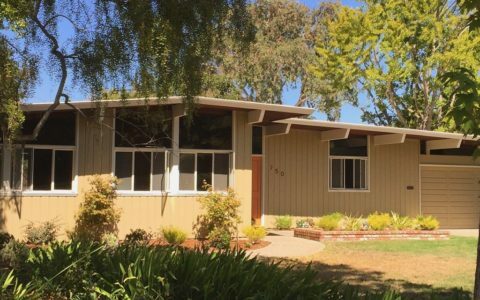 MCH: Hi Karolina – you are lucky enough to live in a Eichler house. Tell us a bit more about yourself and how you came to live in this house. Karolina: I am Canadian, as is my husband, David. We moved from Toronto to the San Francisco Bay Area to work in the tech industry. 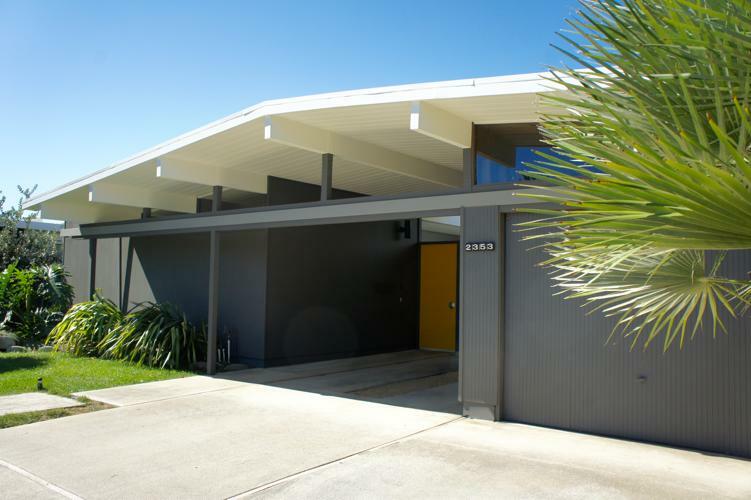 We discovered Eichler homes when it came time to look for our first home. We heard about them from a friend who was also looking to buy, and who knew my personal tastes quite well. 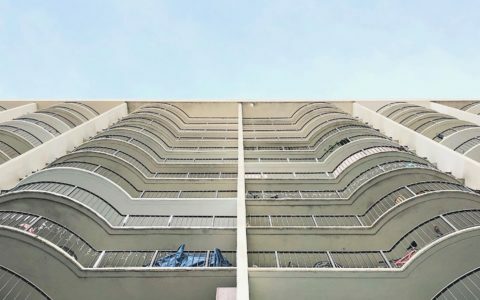 We started looking at them just for fun at first, and were amazed that these very modern homes were built as suburban tract homes in the 1960s. 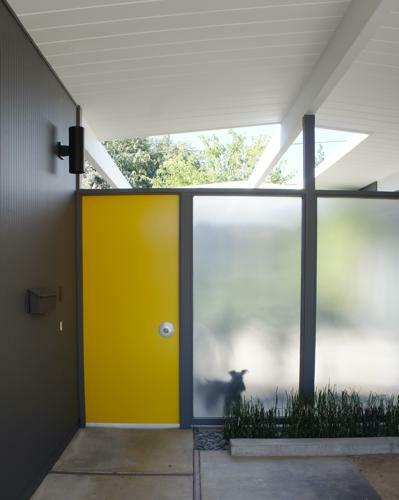 We found our Eichler after an intense hunt. We’ve been here just about five years now and are finally doing some more serious work having gotten a feel for living in San Francisco. 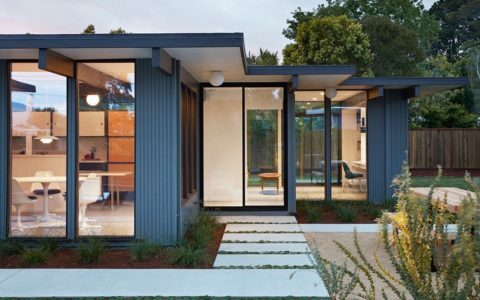 MCH: Did you know about Joseph Eichler and his work before buying the house? 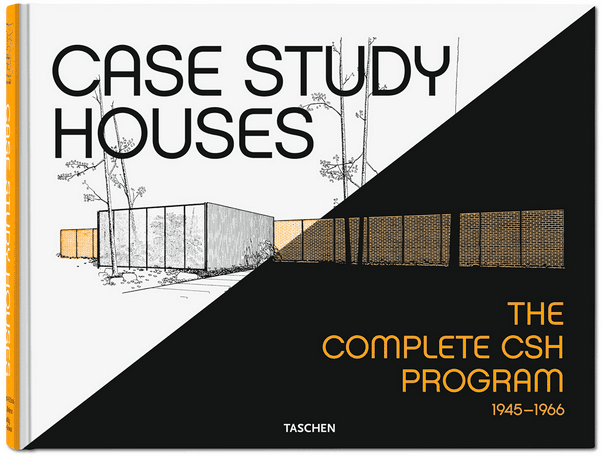 Karolina: I knew about Eichler homes only from seeing them throughout the Bay Area, but that was it. It wasn’t until we were getting serious about buying that I started to seek out more information about the history of the homes and their builder. 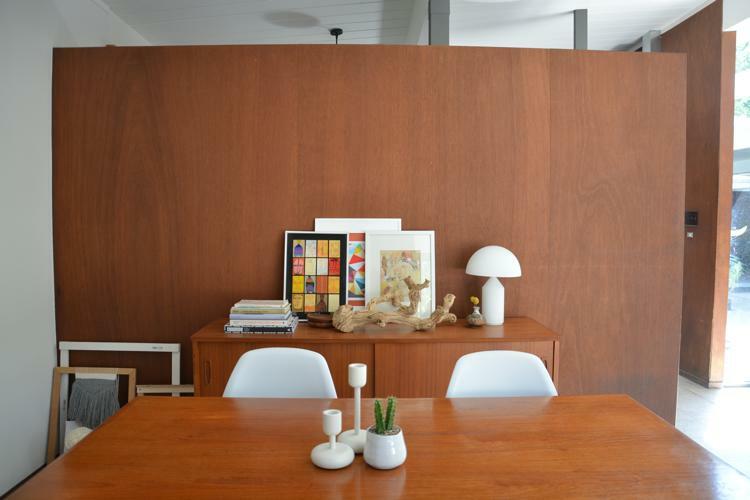 MCH: What are the 3 biggest challenges living in an Eichler Home? And the 3 biggest advantages? Karolina: Main challenge was to be really mindful about preserving as many original elements of the home as we can. Our kitchen is a good example of this. It’s one of the more original parts of the house. We’ve been working to slowly rejuvenate it and, as part of the process, we did discover that some of its construction was a bit hasty and the materials weren’t exactly high quality: due to the affordable nature of these houses. 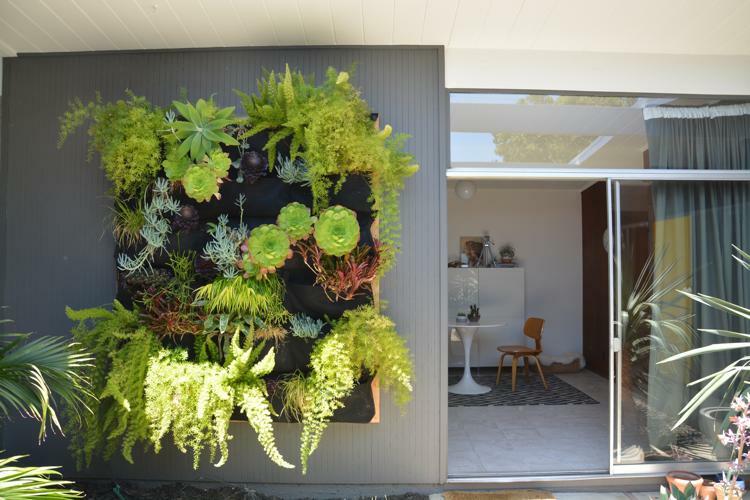 Decorating an Eichler home is proving to be quite interesting! Trying to strike the right balance between treating the home as a time capsule from when it was built (which I do love) and creating something that’s functional and reflective of our personal tastes is a challenge, but one I really enjoy. 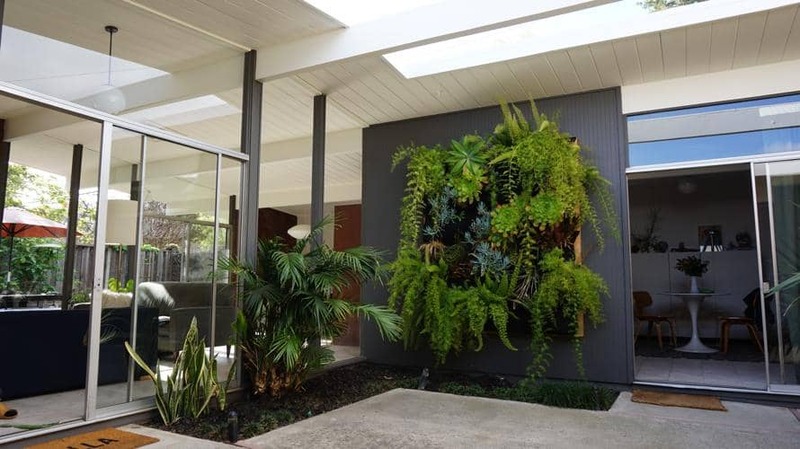 As for the advantages, the Eichler homes community is definitely a big one. Most of us have met via Instagram and other social networks, and we share advice and ideas all the time. We connect the old fashioned way too, chatting with neighbors as we work on weekend projects, getting tips along the way. Also, the open plan is something I particularly enjoy. From our living and dining room, I can look at both the atrium and the entire backyard. I love seeing how the light changes throughout the day and seasons. Sunrise comes through the glass panel wall at the front of our atrium, and the late afternoon sun comes in through the backyard. MCH: Which are your renovation plans and where do you get inspiration from? Karolina: We have a landscaping project underway. The plan is to create more useable living spaces outdoors: dining, lounge seating, and a fire-pit. The space originally included a hot tub, which we removed, and flower beds which were mostly empty and took up a lot of space. We’re pushing those back with a cinder block retaining wall and installing some new concrete in the spirit of the original paving. We really want the landscape to complement it and echo its lines. 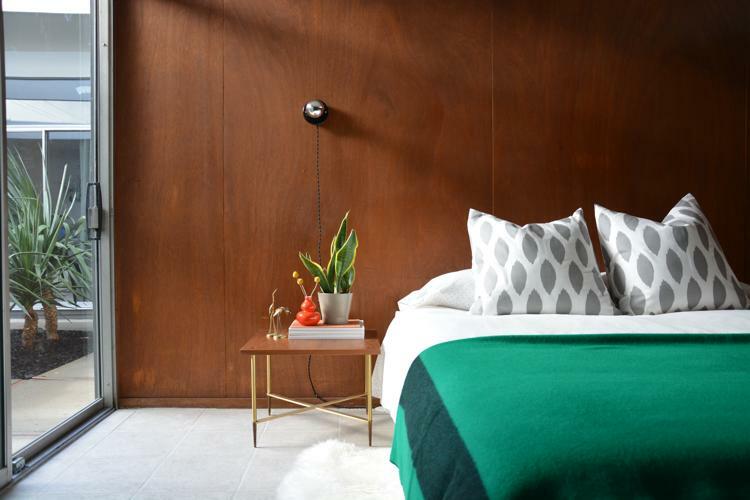 We’re keeping it simple, incorporating mid-century appropriate materials like the cinder block and trying to veer away from overly trendy, contemporary finishes. As for the influences, I love the desert landscapes of mid-century homes in Palm Springs so we’re drawing from that as well, in as much makes sense for northern California. Karolina: We really love our atrium. It gives us this living, green space that welcomes us home when we step through the front door. The house is only 1600 square feet of interior living space, but the atrium pushes everything outward making it feel much larger. I also love the glass walls. When you walk through the front door, you can see straight into the living room and into the backyard beyond it. That part of the house is really just a glass box with posts, beams, and roof. 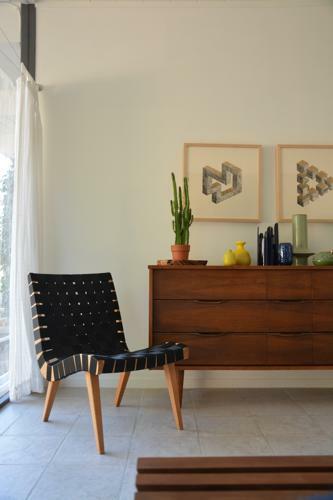 MCH: If you could live in any other famous MCM house, which one would you choose? Karolina: Oh, it’s so tough to choose. 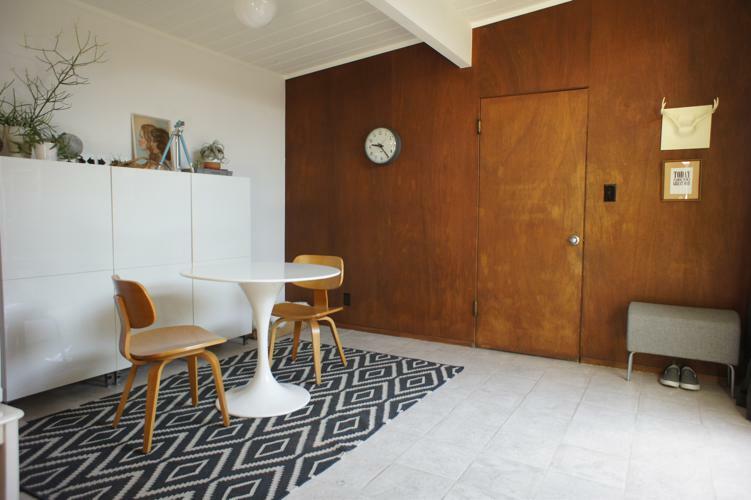 If I had to pick just one, it would be Richard Neutra’s VDL Research House II. I love how it’s open with views to the outdoors and yet has all of these cozy nooks and seating areas. Quiet but so intriguing. I could definitely live there. 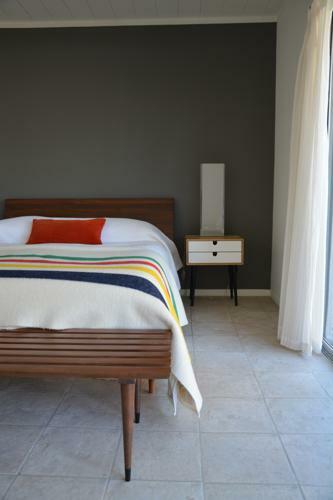 Follow Karolina and David’s renovation process on their blog Dear House I Love You.